Sign up for ReikiUpdate to receive credible, timely Reiki information! Let’s get you right to the information you need to start feeling better soon. Subscribe here to receive emails introducing the benefits of Reiki practice. Keep reading for links that zero in on specific questions. Are you looking for something safe and gentle to help you address anxiety or pain, support your well-being while you address a medical condition, or keep you healthy? What Is Reiki and Can Reiki Help Me? will get you started. 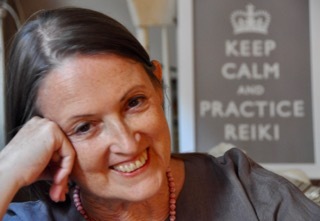 After taking First degree Reiki training, you can practice on yourself, family, friends, and pets. If you are in the New York City area, or can get here, please read about my in-person Reiki classes. If you can’t get to NYC, consider my live, interactive, online training. Here’s what you need to know to choose your Reiki class, one that’s led by a qualified teacher and that’s a good fit for your needs and goals. There are no standards for Reiki education — that’s right, no standards at all — so you need to be an informed consumer. You’ll find the questions to ask about a class you are considering in Reiki Classes: What’s Right for You? Keep looking until you find a teacher and class you feel confident with. A reputable teacher will be happy you’re asking questions. I know I am thrilled when students are putting thought into their Reiki training choices. If you need help finding someone in your area, my book REIKI: A Comprehensive Guide has an entire chapter to help you find a qualified Reiki practitioner or class that is a good fit for you. It also gives an overview of Reiki practice, including the difference it can make to your family, and an inside view of how it is being integrated into conventional health care, work I’ve been doing since the 1990s. Are you wondering how Reiki practice can help you address a specific medical condition? Reiki practice doesn’t target the condition or symptom directly. Rather, Reiki practice evokes a self-healing response from deep within your system. The start of this self-healing response is commonly experienced as a sense of relaxation and ease. That’s important because when you’re stressed, your self healing mechanisms shut down. As a spiritual (not religious) practice, somewhat like a meditation delivered by your hands but so much easier than meditation, Reiki helps restore balance in your body, mind and spirit, optimizing your self healing. Want to know how Reiki practice has helped other people? My blog has more than fifty Reiki stories written by people like you who have benefited from receiving Reiki treatment or learning Reiki self treatment. As you see, I have a wealth of information to help you make a Reiki connection that will get you feeling better fast. Please subscribe here to receive my free ReikiUpdate emails, and become part of an international community of people committed to credible Reiki practice. You’ll also be the first to receive special offers.